What better way to express gratitude this Thanksgiving, than by making the most stellar mashed potatoes ever? 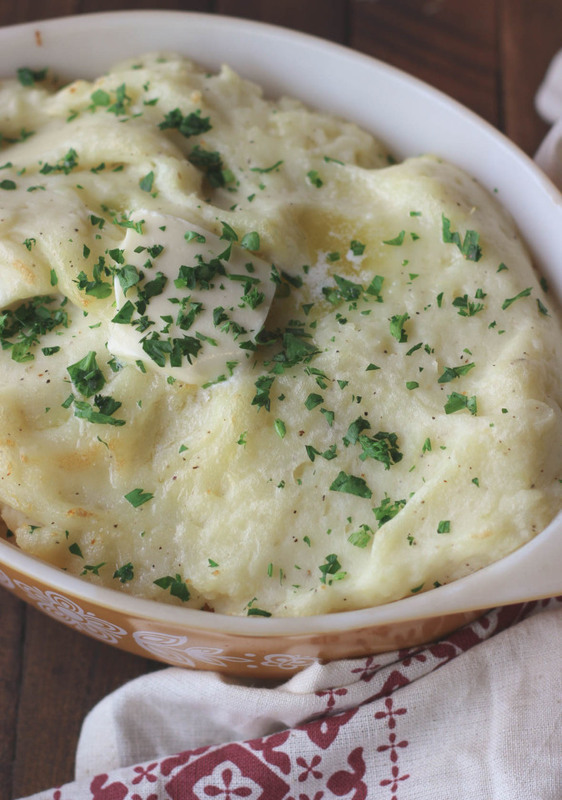 We bet you didn't think there were so many rules when it comes to making mashed potatoes, but it turns out you were mistaken. It's just potatoes, milk, butter and salt. What could you possibly mess up? While any combination of those ingredients will undoubtedly taste good, it comes down texture. Some people prefer potato skins left on and some prefer silky smooth versus lumpy. Regardless of your preferences, we righting some basic potato wrongs, right here and now. Mistake #1: You're chopping your potatoes in uneven chunks, meaning they'll cook at different rates. This could lead to grainy or crunchy chunks of taters. Mistake #2: You're not mashing by hand. We know the appeal of a food processor or blender can take over, but trust us. You want to do this on your own. When potatoes or over-whipped, they can turn into a kind of starchy glue. Unless you're planning to patch some holes with your potatoes, leave the appliances for another project. Mistake #3: Your milk and butter are ice cold. Bring your ingredients to room temperature (or slightly warm your milk) to allow them to absorb into the potatoes better. The better absorbed they are, the less likely you are to overmix them. Mistake #4: You're drowning your potatoes. Unless you're making potato soup, ease up on the amount of milk you're using. If you need to make your potatoes creamier, opt for more butter. Hey, it's the holidays, right? Mistake #5: Your leftover taters are dry and flaky. If you are reheating mashed potatoes, it's ideal to go slowly. Place potatoes in a pan over medium-low heat and stir, adding in a little milk and extra butter as you go. They'll be as tasty as the first time around.